Vyacheslav Dushenkov, Ph.D., Managing Director of GIBEX, is an Assistant Professor at CUNY-Hostos CC, is an accomplished scientist and business administrator experienced in R&D management, regulatory affairs, intellectual property protection and marketing, strategic planning, and contract/joint venture negotiations, Dr. Slavik Dushenkov supplements fifteen years of teaching, research, and administrative experience at major universities with nine years of leading management and research in technology based companies. Prior to joining CUNY-Hostos CC Dr. Dushenkov was an associate director at Rutgers, The State University of New Jersey (2007-2011). He came to Rutgers from WellGen, Inc where he worked for five years as a Vice President for Research and Business development. Prior to working for WellGen, Dr. Dushenkov has been deeply involved in development and management of a variety of international and national biotechnology projects. In his capacity as Research and Innovations Marketing Coordinator at Rutgers, The State University of New Jersey he was instrumental in building ties between the University and the pharmaceutical industry and streamlining the technology transfer process. In the last ten years Dr. Dushenkov has worked with government agencies including FDA, DOE, EPA, and DEA in biotechnology, pharmaceutical agricultural and environmental technology development, intellectual property protection and regulatory compliance. Dr. Dushenkov is focused on developing breakthrough technological applications of fundamental and applied biological research. He published over 100 scientific papers and is a co-inventor on ten US patents. Since 1996 till 2007 Dr. Dushenkov is a Visiting Research Professor at the Biotechnology Center for Agriculture and the Environment. 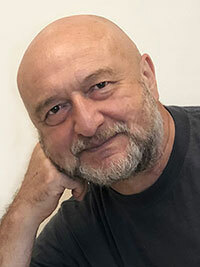 In 1990, for his work as a professor at Moscow State Pedagogical University and for the contribution to national education Slavik Dushenkov was awarded The Teaching Excellence Medal of The Russian Federation. His work was featured on CNN, Channel 12 NJ news, Canadian public Radio; in the New Scientist magazine and in numerous Internet based publications.